We have special machinery to successfully detect pool leaks and sort out plant roots and obstacles in sewer lines. As professional plumbers, we understand that emergencies are just that: URGENT. We are open 24/7, 365 days a year to serve you at your convenience. Be it a simple drain blockage to a geyser replacement or a septic tank installation, call Casa Plumbing & Drains in Rondebosch for the best plumbing service. 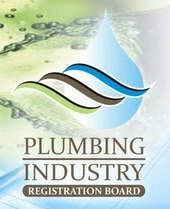 We are PIRB & IOPSA registered.